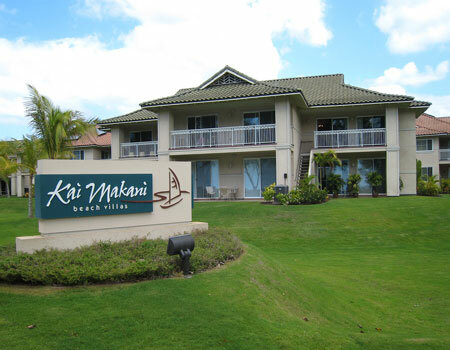 The Kai Makani Beach Villas are located in North Kihei across from Sugar Beach which happens to be one of the longest beaches on the island of Maui. These condos are close to shopping, restaurants and activities. To get to the beach, it's just a short walk across the street. Kai Makani offers two different floor plans one being a two bedroom and the other being a three bedroom. The biggest condo available here is around 1,238 square feet. All condos have their own private lanai, ceiling fans, central air and european kitchens. There is a work out room and a bbq area as well.